1 pair of floater contains 2 pieces of floats. Accessories: Bolts, nuts and washers. 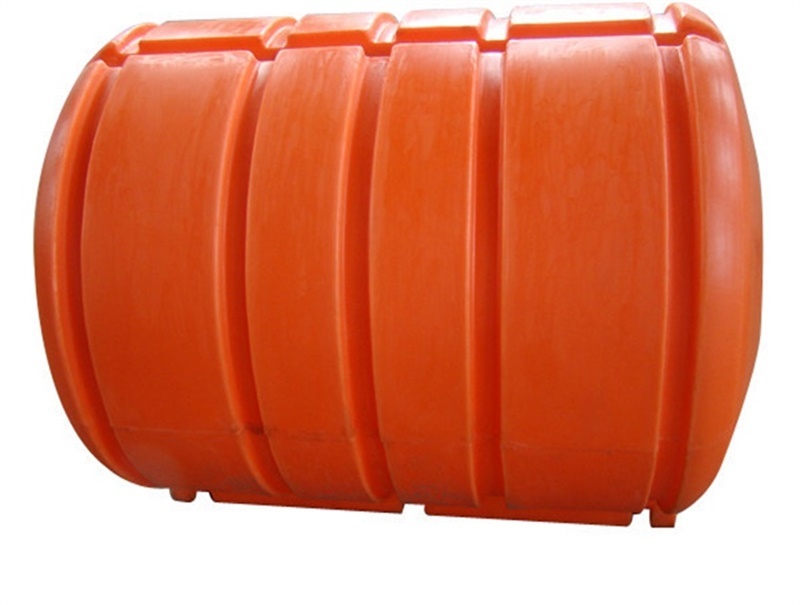 Floater’s hull: Medium density polyethylene material. Inside: High strength polyurethane foam. 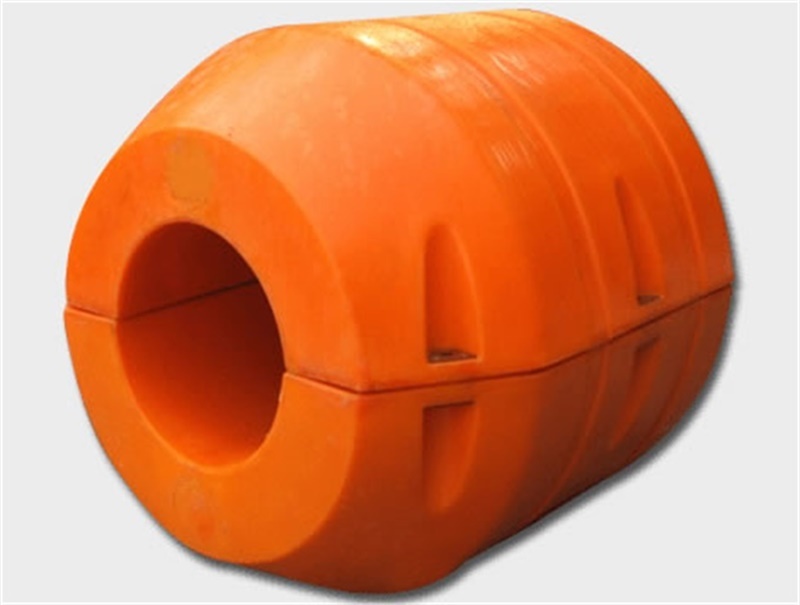 Anti-impact; Anti-corrosion; Easy installation; Anti-UV; Long lifespan; Lower cost than steel floats. 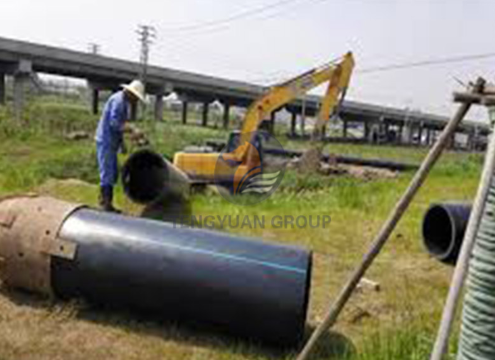 Floating pipes or cables on the water; Widely used in dredging sand pipelines and laying the pipes on the water. 1. Light weight, easy for installation and movement. 2. The costs and performances are much better than steel pontoons. 3. 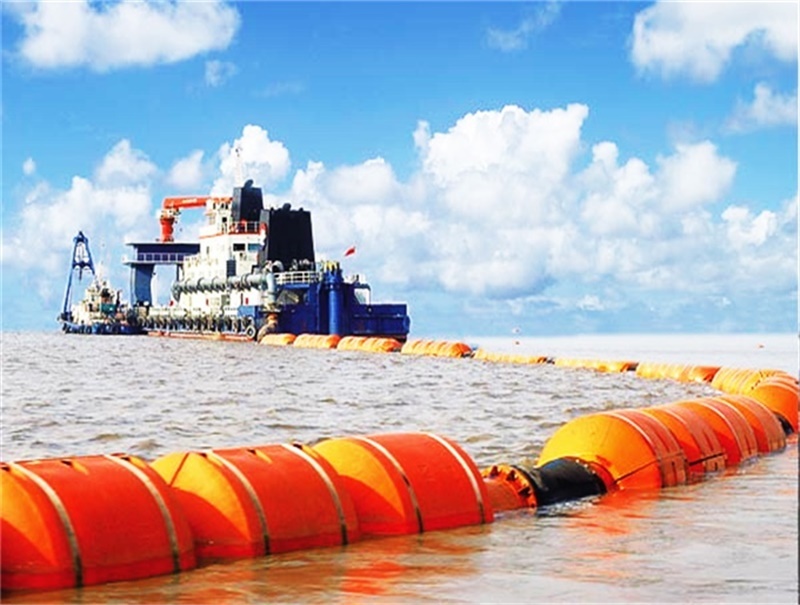 Good Flexibility, excellent impact resistance, particularly suitable in the open sea. 4. Higher corrosive resistance, anti-uv, anti-aging ,it can be used for 5-8 years,3 times longer than steel floater. 5. The outer and inner wall are very smooth, friction coefficient is tiny, all of these features are good for transmission. 6. 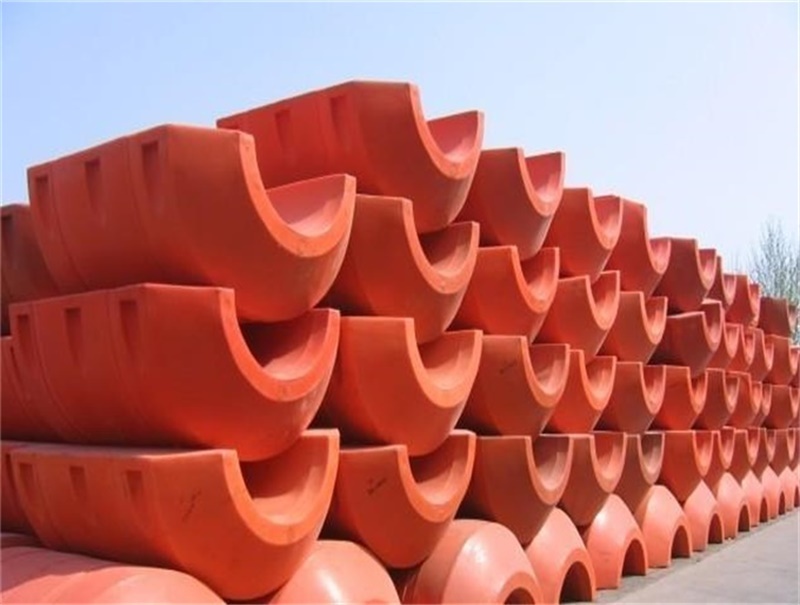 It can be used from – 60 to 80 ° c.
The MDPE floater is widely applied in dredging and mine tailings area for delivering the fluid that contains the medium of mud, slag and so on.